Artículo ​​# 309998 Puntos Stash: 2895 (?) This is the number of points you get in The Zumiez Stash for purchasing this item. Stash points are redeemable for exclusive rewards only available to Zumiez Stash members. To redeem your points check out the rewards catalog on thestash.zumiez.com. 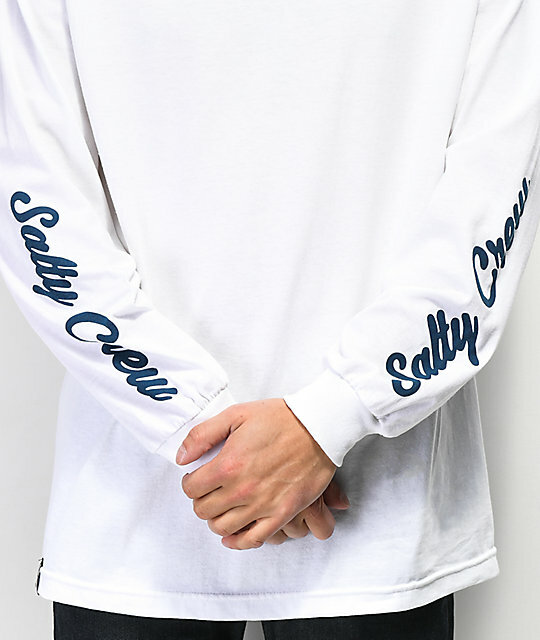 Get a new look worthy of swashbuckling the high seas with the Salty Crew Frenzy White Long Sleeve T-Shirt. 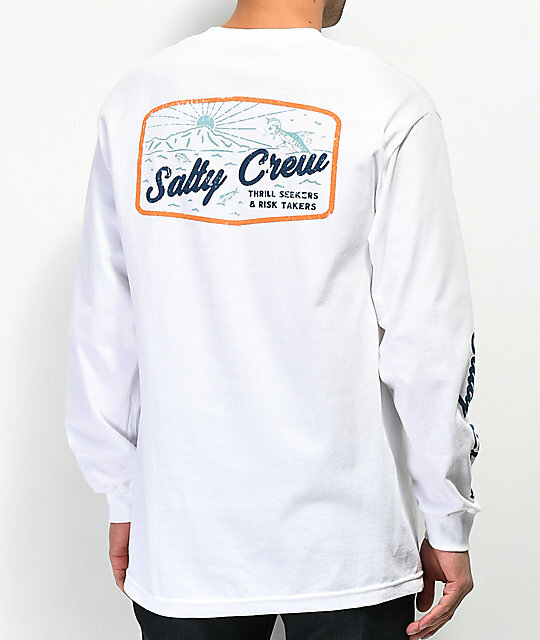 This all white, 100% cotton long sleeve tee is tagless for comfort and features Salty Crew logo graphics on the left chest and back in orange and navy, while the sleeves are lined in navy text graphics for signature branding flair. 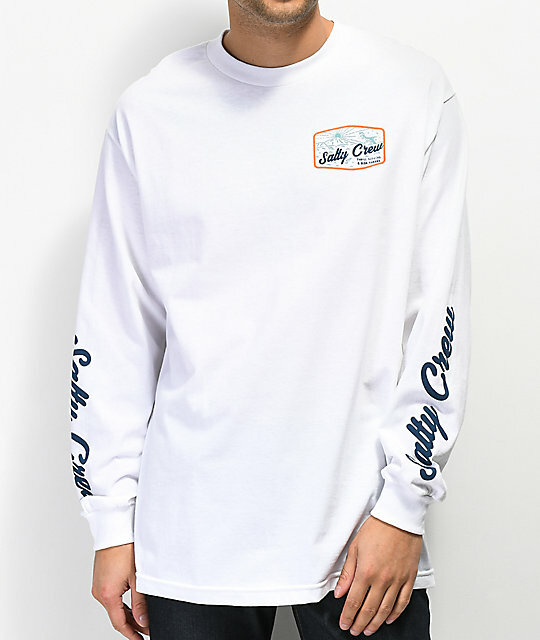 Frenzy White Long Sleeve T-Shirt from Salty Crew. 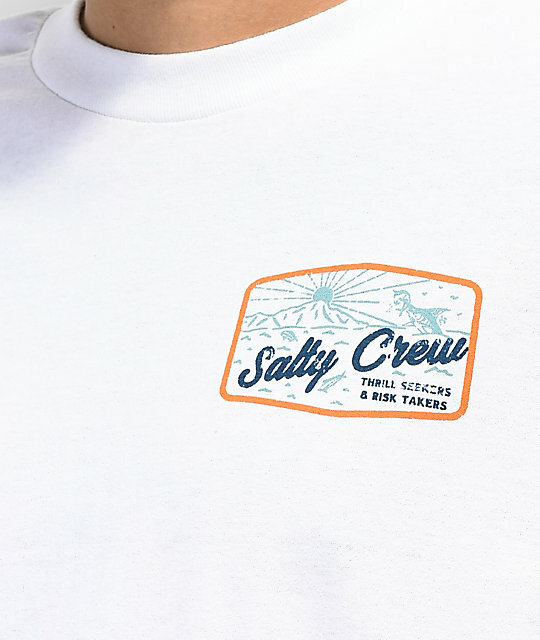 Screen printed logo graphics/script on left chest, back and along sleeves.